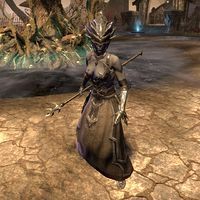 The Seducer Darkfires are a variety of Dark Seducer fought as opponents within the Vale of the Surreal in the Maelstrom Arena. They will sometimes shout things as they fight. "We will make this quick." "Ah! Another skeleton for the tree!" "I claim the mortal's body―afterward!" 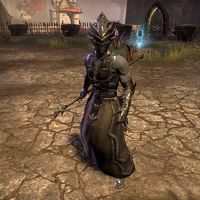 They are one of the few Dark Seducer variants that can be male. A Seducer Darkfire card also appears in Legends. This page was last modified on 27 January 2019, at 15:56.